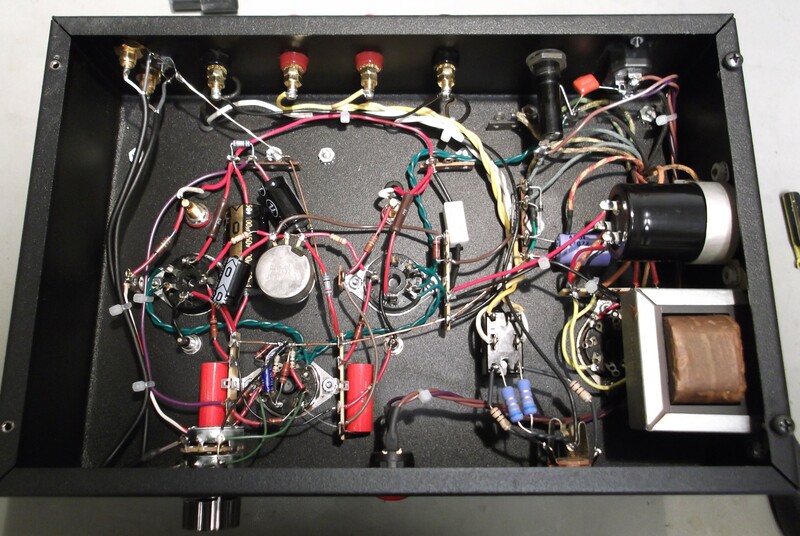 This amplifier was built on-the-cheap. 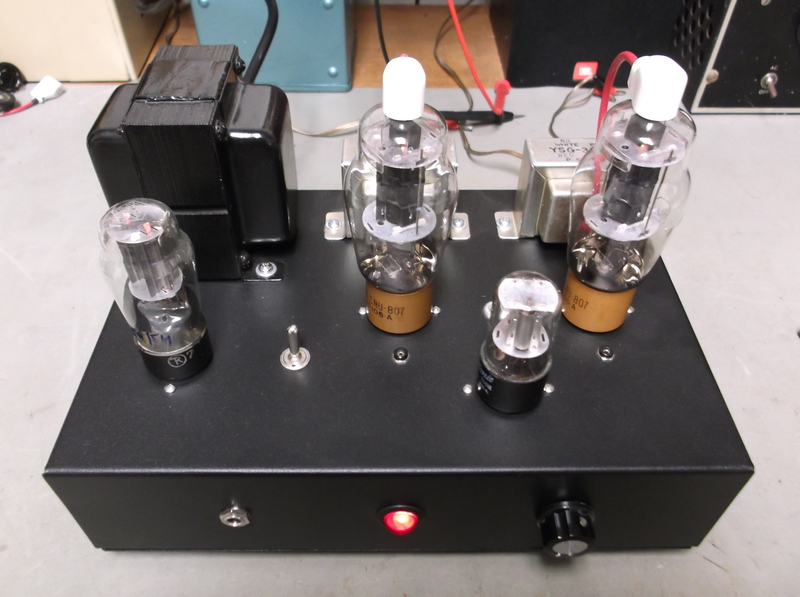 I used salvaged transformers purchased well below online prices and 807 tubes which are still reasonably priced. 7 watts per channel. I won an impromptu local “shootout” with this. Recently added speaker/headphone switch and headphone jack. Now it’s personal! How it was done: Single-ended pentode mode, with primary-side feedback, and fixed bias operation. Just wondering why you didn’t use a bypass capacitor on the cathode of the 807. Ah, look again! It’s a fixed bias circuit, not cathode bias. The 10 Ohms are present for allowing the current level to be measured (50ma = .5V). Very little degeneration at 10 ohms, bypass isn’t needed. Ignore the schematic comment, it’s .5V not .05V. Full Wave Bridge. That power transformer had a bias winding. If you use one with only a bias tap, adjust accordingly. Feedback is really necessary for this, or it will sound BAD. If I were ambitious, I might change the output to triode-connected 6DQ6 and redesign the driver. That could work without feedback, kind of a poor man’s 300b amp.